1. Purpose - be honest with yourself about the purpose of your horse. What is the absolute top priority for you? Professionals are usually looking for the next Grand Prix champion or a horse to bring on and sell and semi-professionals want a competitive horse they find exceptionally beautiful and connect well with and who has a longer active life-span, a horse they will keep for a long time. Of course, we want it all, but it is good to know, for example, if your top priority is a horse with a walk that will get a 10 and you have an unlimited budget and don’t care about colour or if you could take a young horse and put your own mark on him as long as he has the right looks/character. 2. Budget - be realistic about how much you are prepared to spend. 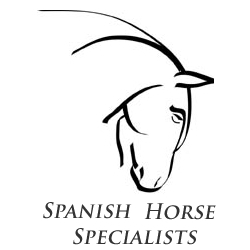 There is no such thing as a gift horse, you get what you pay for and the cost of keeping a horse who doesn’t fulfil your dreams is the same as one that does, over the long term another 5,000 euros is not a big impact in the realistic consideration of horse expenses. Always buy the highest quality you can possibly afford. 3. Prioritise - know your criteria and which things are flexible for you. 4. See the whole picture - balance pros and cons, no horse is 100% perfect, just as no person is, but there are horses (and people) we know are good for us. 5. Trust your Gut - absolutely one of the highest importance factors is trusting your gut instinct. How does it feel in your body to say yes to this horse? 6. Have options - a second and a third option. Not all horses pass the vetting, not all deals conclude easily. 7. Be open - you might be determined you want a grey horse and then go home with a black. This happens so many times in this work, I cannot tell you, horses are incredible and they come into our lives with great gifts, allow them to come to you. 8. Be practical - get a full vet check, a blood test and a professional opinion. 9. Know the history - see where the horse came from, understand the human/animal culture he has been living in, get a feel for the environment, the style of training and his competition experience. 10. Follow your heart - buy a horse that excites your heart.